"Rebecca is urban, and Scott's suburban. She's organized--he's....well, he's less so." Chuckles and laughter rippled through the crowd as the Rabbi happily described Rebecca & Scott's distinct personalities during their Jewish ceremony under a silken chuppah. 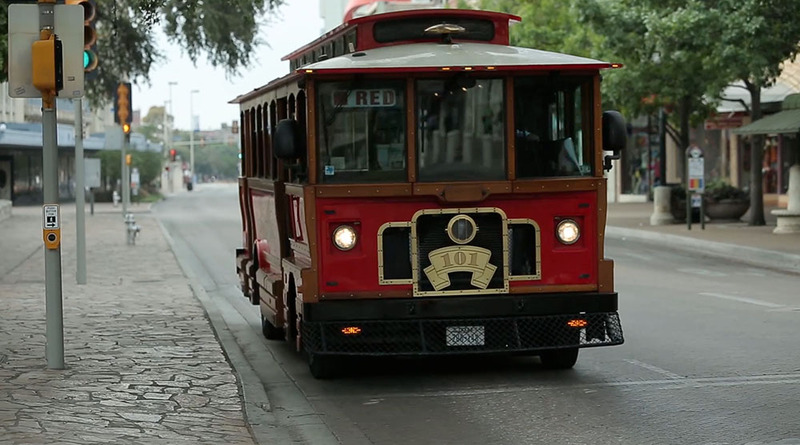 When Rebecca had approached us about filming her wedding video, she had told us with great joy about coming back to her hometown of San Antonio and bringing all of her dear friends and Scott's family to experience it. Rebecca also raved about how good the food would be at the San Antonio Country Club. As we chatted with the photographer, Catherine Hornberger of Peacock Photography on the wedding day, we found out that even her husband was jealous that she and her assistant were getting to eat the SACC food--and let me tell you--even the bread served with the appetizers could have stood alone as a treat. What struck me as we were filming both the rehearsal dinner and the wedding was Rebecca's impeccable sense for design, the deep love she shares with Scott, and the extremely close knit love and affection shared by each side of their families. The weekend opened with a rehearsal dinner complete with cowboy hats, bread pudding dessert, live country music, and handkerchiefs. The Pearl Stable is a historic building that once housed horses for a brewery. Now, it has been repurposed as a ballroom, and it features plenty of gorgeous wrought-iron work throughout the entire ballroom, as well as rustic chandeliers built from multi-colored antique glass bottles. As Scott's groomsmen walked around in 10-gallon hats, they told Rebecca with a grin that they were "taking this Texas thing very seriously." This family knows how to entertain each other, and we were treated to several poems, songs, and toasts that brought tears to our eyes. Scott is from a large family, and so with so many sisters, they joked that they didn't know he could even walk until the age of three because someone always wanted to carry him. One of the groomsmen spoke about why he had chosen Scott to be the godfather of his daughter. He said that he knew that if something ever happened to his wife or to him, that Scott would be the kind of man who would raise his daughter showing her the example of how a woman should be loved by the way that Scott loves Rebecca. And yes, I may have been crying behind the camera as I was filming. And as I was editing the video. And as I was doing quality control viewings of the film. It wouldn't have been a real Texas "shin-dig" without the talented live band that Rebecca found for that night--and the Ben McPeak Band kept the spirit lively with the twang of country rhythm and plenty of toe-tapping as everyone jumped onto the dance floor. Their musical performance had everyone from children to grandparents two-stepping. Rebecca and Scott celebrated their wedding with a traditional Jewish ceremony, which includes the signing of a ketubah, a marriage document, and the ceremony under the chuppah. As the family and bridal party gathered in a private room for the signing of the ketubah, Rebecca and Scott stood among multiple generations of married couples in their families. As Rabbi Block honored their presence, it was hard to not get chills as he spoke of the day when Rebecca and Scott would be watching their own children sign ketubahs in the future. As Rebecca was being zipped into her gown, her flower girls (Scott's nieces) exclaimed "You look like a princess." Adorable!...and she did, indeed, look like a princess. 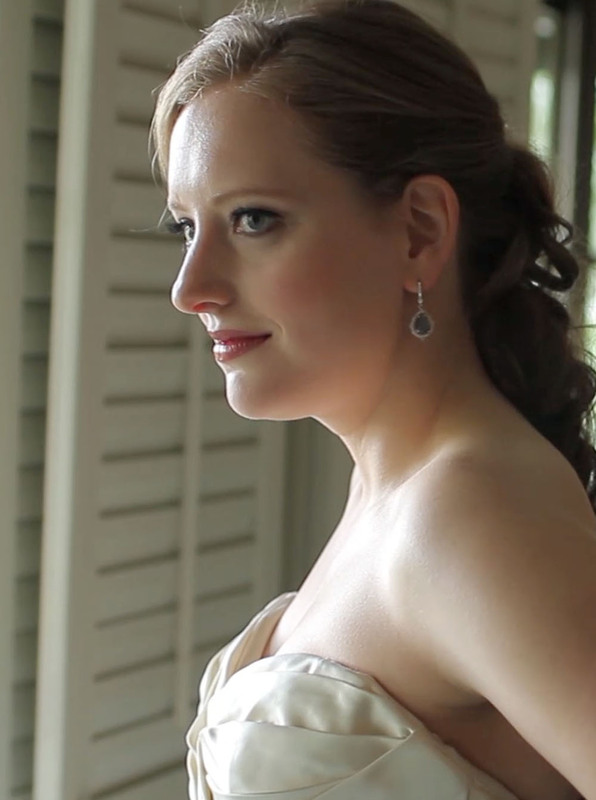 We were so pleased to film your wedding, and honored to be given the task to make you this artistic film. We hope that this video is a reminder for years to come of the joy that you shared as you made your vows to each other in front of the community you hold so dear.